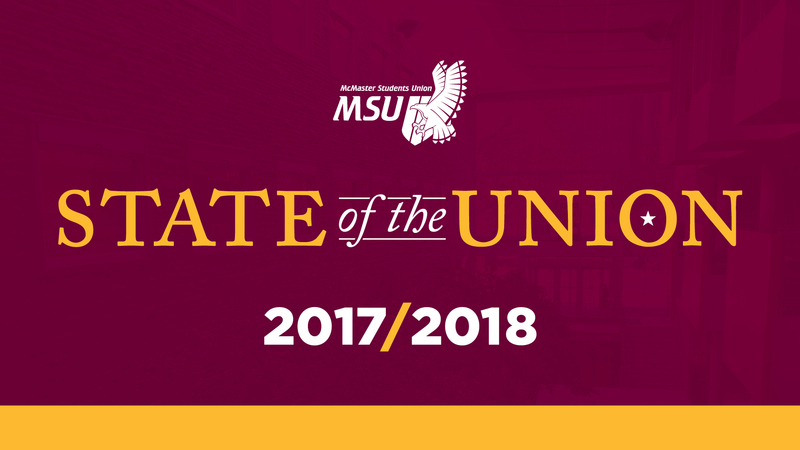 The State of the Union was adopted during the 2010-2011 academic year as a way for the MSU Board of Director to present authoritative information regarding the large volume of changes that have taken place during its respective term. The document is a method of communicating to the undergraduate student body as to what the MSU achieved in the 2017/2018 academic year, as well as what is planned for future. The State of the Union includes information on services’ accomplishments, comprehensive financial information, project details, lobbying efforts, and numerous accounts as to how the post-secondary landscape has changed over the last year.